Carolyn Tolbert Jordan, 81, of North Carolina Avenue, Statesville, left her earthly classroom to sit at the feet of the Master Teacher, on Sunday, February 3 at the Gordon Hospice House. Born on September 5, 1937, she was the daughter of the late Honorable Homer B. and Nellie Tucker Tolbert. Carolyn was a graduate of Troutman High School, class of 1955. She graduated from Mars Hill College in 1957, received her Bachelor of Arts degree from Wake Forest College and her Master of Education degree from Appalachian State University. Her teaching career began at Oakwood Junior High in 1959 and continued at Courtney High School, Harmony Elementary School and concluded at East Iredell Elementary School. 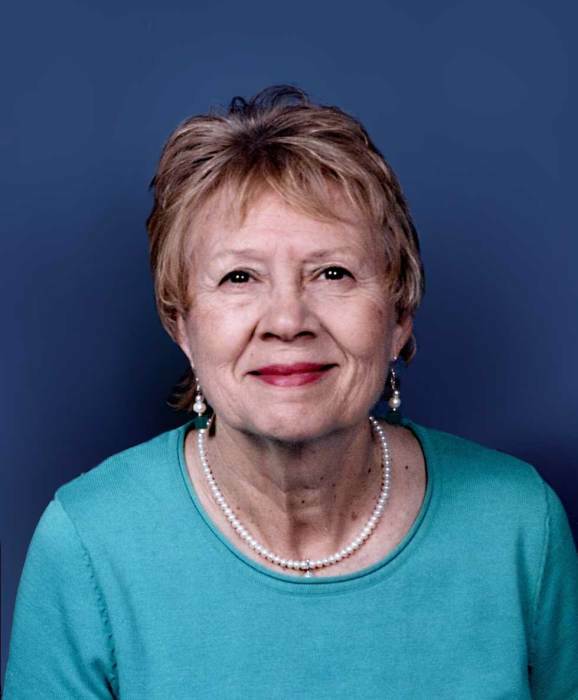 She also served as the Iredell County Delegate to the Senior Tarheel Legislature for many years and was a former member of the Statesville Civil Service Commission. She loved the churches where Carroll served as pastor, Mt. Vernon, Mountain Road and Calahaln Friendship where she served as a Sunday School teacher and choir member as long as she was able. She also loved her Alpha Delta Kappa sisters and enjoyed the monthly breakfasts at Sunshines with her former East Iredell colleagues. She enjoyed bicycle trips through France, along the North Carolina Coast, and Vancouver-British Columbia with her good friend Laree Thompson and others. After retirement she practiced the fine art of soapmaking and enjoyed giving to friends and selling the items at craft shows and at the Pecan Park and Saturday Statesville Farmers Markets. Most of all, Carolyn enjoyed giving and sharing with everyone, always unselfishly putting everyone else before herself. Her memory will be cherished by her husband and best friend of 61 years, G. Carroll Jordan; two sons, Glenn Carroll Jordan, Jr. of Greensboro, and Michael Tolbert Jordan of Statesville; a daughter, Stephanie Leigh Jordan of Napa, California; two grandsons, Michael Robert Jordan of Statesville and Richard Dean Jordan of Greenville, NC; two brothers, Homer B. “Buddy” Tolbert (Ann) of Cleveland, NC and Carl P. Tolbert (Mary) of Statesville; an uncle, Jimmy Tolbert of Statesville; a nephew, Preston Tolbert (Sara) of Statesville and two nieces, Angie Cherry of Cleveland and Catherine E.T. Davis (Cody) of Mooresville; a great niece, Allie Gray Davis, and three great nephews, Tyler and Matthew Cherry and Rowland Davis. In addition to her parents, Carolyn was preceded in death by a daughter-in-law, Norma Holloway Jordan, and her father-in-law and mother-in-law, Glenn and Nell Jordan. A Celebration of Life Service will be conducted at 2:00 p.m. on Wednesday, February 6, from the Calahaln Friendship Baptist Church, 407 Calahaln Road, Mocksville, with Rev. Sidney Norton and Rev. Ervil Jones officiating. Burial in Oakwood Cemetery in Statesville will follow immediately after the service. The family will receive friends at the Reavis Funeral Home of Statesville (318 Davie Avenue) from 6:30 until 8:30 p.m. on Tuesday, February 5. Words cannot express our appreciation for the love and care shown to Carolyn by everyone at Hospice and Palliative Care both at her home and at the Gordon Hospice House. Also, we express our love and thanks to two very special people, Janie Williams and Brenda Beck, for their kindness and care to both Carolyn and her family. Memorials may be considered to Gordon Hospice House, 2341 Simonton Road, Statesville, NC 28625, or the Calahaln Friendship Baptist Church Building Fund, 523 Ralph Ratledge Road, Mocksville, NC 27028. Davie Funeral Service is serving Carolyn’s family. Online condolences may be sent to the family at www.daviefuneralservice.com.